Everything You Need To Know About Radhika Merchant - The 'Choti Bahu' Of The Ambani Family! Amidst the excitement of two shaadis in the family, it looks like Anant Ambani too is walking towards the registration desk of the 'Doubles Club' soon. 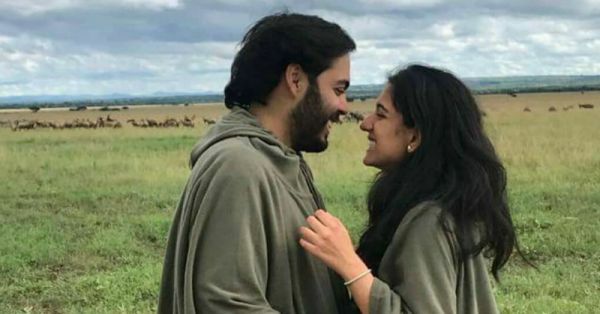 While his elder siblings Akash and Isha are all set to tie the knot with their respective partners, Shloka Mehta and Anand Piramal by the end of the year, Anant seems to be enjoying young love with his rumoured girlfriend, Radhika Merchant. Radhika came into the limelight as Anant's alleged girlfriend during Isha's engagement where she performed a dance along with the brides-to-be, Isha and Shloka. That was clue number one. Then at Akash Ambani's engagement function, she gave another dance performance. Videos of Shah Rukh Khan teasing Anant about Radhika on stage during the celebrations also went viral on the internet and that was our clue number two. And then finally, a cutesy picture of Anant and Radhika standing in a field in matching robes, gazing lovingly into each other's eyes surfaced on the internet, and that was kinda like the last thing we needed to confirm that Radhika is indeed Anant's special one. 1. Radhika is the daughter of Viren Merchant, the CEO and Vice Chairman of Encore Healthcare. 2. Radhika Merchant has graduated from the New York University with a degree in Politics and Economics. 3. 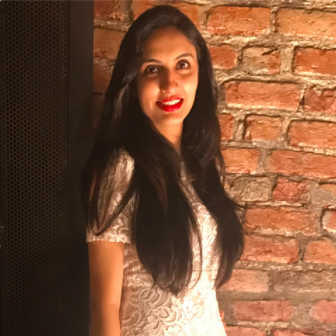 After coming back to India, she joined Isprava, a real estate company as a Sales Executive in 2017. 4. She loves reading, trekking and swimming. 5. In her office, Radhika is known to have a serious coffee addiction. Radhika and Anant look really happy together and given the fact that she has been attending all their family functions, it seems like they have their parents' approval too! Sooo, are we looking at three Ambani weddings soon? Fingers crossed!